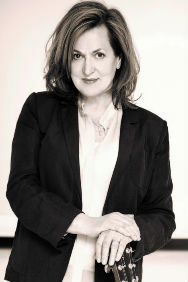 Barbara Dickson is one of the most enduring and popular artistes in Britain today. Born in Dunfermline, Scotland, Barbara's love of music was evident from an early age. Her first hit single, ?Answer Me', was released early in 1976. 1980 provided her with her first gold album. In 1985 Barbara's ?I Know Him So Well,' recorded with Elaine Paige was released. It reached Number One in the UK and went on to become a Top Ten hit around the world. Barbara Dickson website. For over four decades, Barbara Dickson has continued to deliver songs to the public in her own incomparable fashion. As a multi-million selling recording artist with an equally impressive Olivier award-winning acting career, Barbara Dickson OBE has firmly established herself as one of the most enduring and popular entertainers in Britain today. Globally known for hits which include Caravans, Another Suitcase Another Hall in and her chart-topping duet with Elaine Paige, I Know Him So Well, Barbara Dickson is also a two-time Olivier Award-winning actress with roles including Anita Braithwaite in TV's Band of Gold and the original Mrs Johnstone in Willy Russell's long-running musical Blood Brothers. After a hugely acclaimed and award-winning run in Spend, Spend, Spend in the West End, this is Barbara's first Concert Tour for over four years and a rare opportunity for her millions of fans to see one of British Theatre's best loved stars singing many of the classic songs which first made her famous.